Why Do Companies Want VoIP? 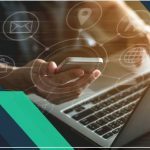 Home / Why Do Companies Want VoIP? 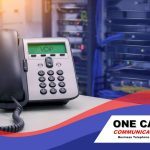 When you work with One Call Communications, implementing VoIP in your office or business is not going to cost you a lot, and there are many other benefits that this can bring. As a business, you need to ensure that you have a secure and reliable form of communications. This will help you to keep in contact with clients, customers and even your employees. 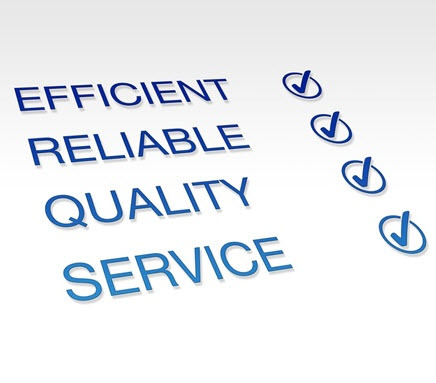 As a result, it is a good idea to have a look at the reasons why companies want VoIP. If you are thinking of getting this system put in your office then you will be able to feel much better in knowing that you are getting something worthwhile. By having knowledge on the exact benefits, you will understand just how your business can succeed in the future with better communications. Ultimately, the lower communications costs are probably one of the main reasons that a lot of people are attracted to VoIP. One Call Communications customers have saved as much as eighty per cent of their phone bill by switching to VoIP. Only a small percentage of your calls will then be made to traditional landline telephones. Through SIP Trunking, VoIP systems will also be able to call landline phones and mobile anywhere in the US and around the globe. In total, it means that the use of a landline in your office will become almost obsolete. Traditionally all offices had two networks. One, called a LAN, for data connectivity, and another for your telephone connections. The second, for large offices, was usually through an EPABX installed in the office. One Call Communications’ VoIP system works off your Internet. In other words, it uses your LAN connection internally and your broadband connection for the outside world. This is the same network that carries your data also. Your data, voice, and video now work off a single network. A single platform for all forms of communication from One Call Communications can be handy. It also means that the concept of unified communications comes into full fruition. Everyone will be able to get notifications when a new message arrives. This is what everyone looks for when it comes to unified communications and this is a concept that is growing all the time. 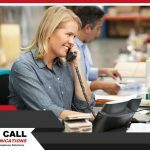 With One Call Communications, your team will be able to work together much more closely than ever before. Since everyone will be connected to the network, everyone will be able to speak with one another when it comes to the specifics of certain projects. People can connect to the network in a number of different ways. Often, even personal devices can be brought in to connect to the network. A network like this from One Call Communications is quite easy to manage because it is simpler. When it comes to the running of a company, you will also want to make things a little bit easier for yourself. You will want to ensure that you get the best out of this issue. The scalability of VoIP ensures that start-ups in particular do not have to worry about the costs they will incur if the company gets bigger. 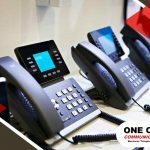 Investing in a VoIP system from One Call Communications will ultimately mean that one of your most important forms of infrastructure is cheap, easy to manage and can grow as your company grows. How Did VoIP Communications Start?